This is a Mint Non-Hinged with No Gum single stamp from USA issued in 1988, #MT-3. This type of "Duck Stamp" can be for several reasons. One is for conservation and another is the direct opposite, namely hunting. 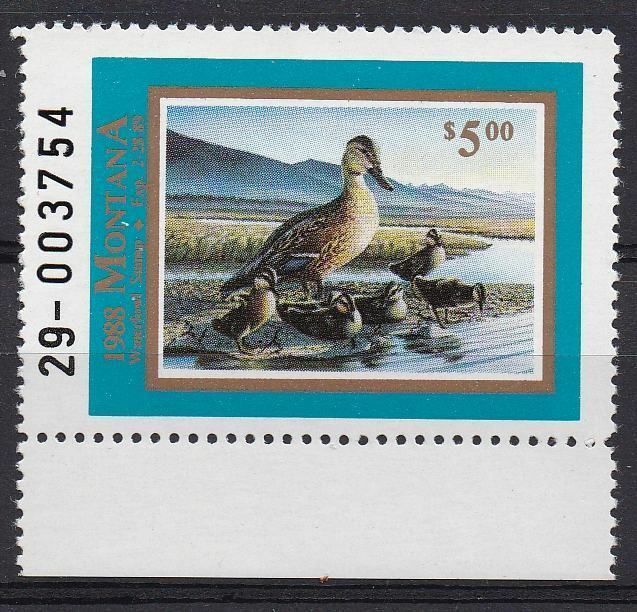 This stamp is good in Montana was issued in 1998 for hunting waterfowl and expires on February 2nd, 1989.